oneMicro is the evolution of various experiments with breakout boards for Microcontrollers that we have been developing for quite some time. It is a series of simple, programmable, breadboard friendly and bare-minimum breakout boards for the majority of your favorite microcontrollers. 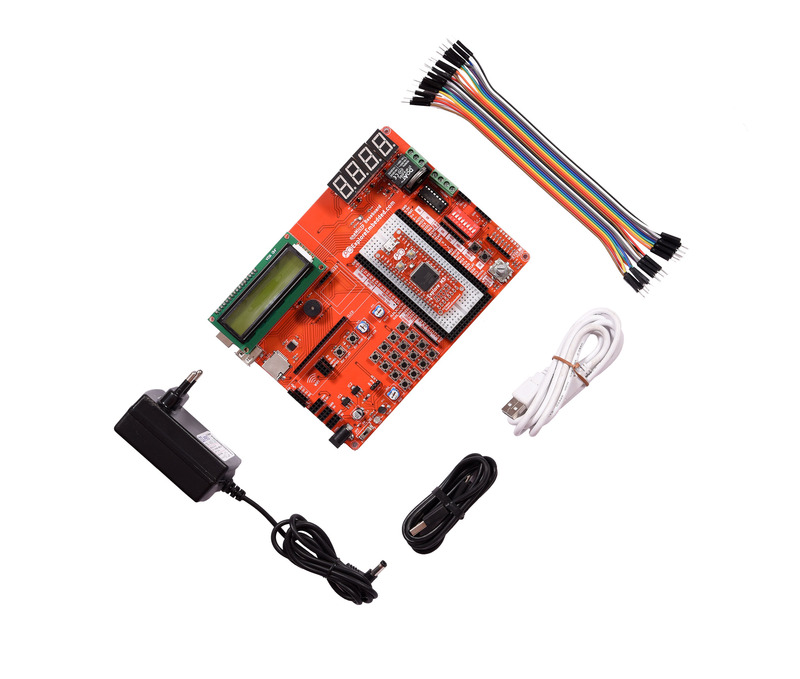 ARM LPC1768 Development Kit For Arduino is a development kit for ARM. Board comes with preloaded bootloader hence you don’t need any external programmers . It has numerous on-board peripherals to interface them with the main controller. All the peripherals connections are broken out. A unique feature of the kit is that, oneMicro base board supports various 8 bit, 16 bit and 32 bit microcontroller breakout boards. ARM LPC1768 Development Kit For Arduino is a feature rich ARM Cortex M3 development board with lots of onboard peripherals. It can help you prototype ideas faster with Arduino and take them beyond, with bare metal programming, RTOS support and lower power modes if need be. All the source-code and hardware design files are open-source including the on board boot-loader. This makes it easy in using the board/chip in your custom designs.